In most urban areas in New Zealand the legal speed limit is 50kph. Young male drivers perceive this as an arbitrary number and are more likely to set their own limit, at a speed that they are comfortable with – for most of them that is about 60kph. They don't see the danger in going just a little over. What difference can 10kph make? 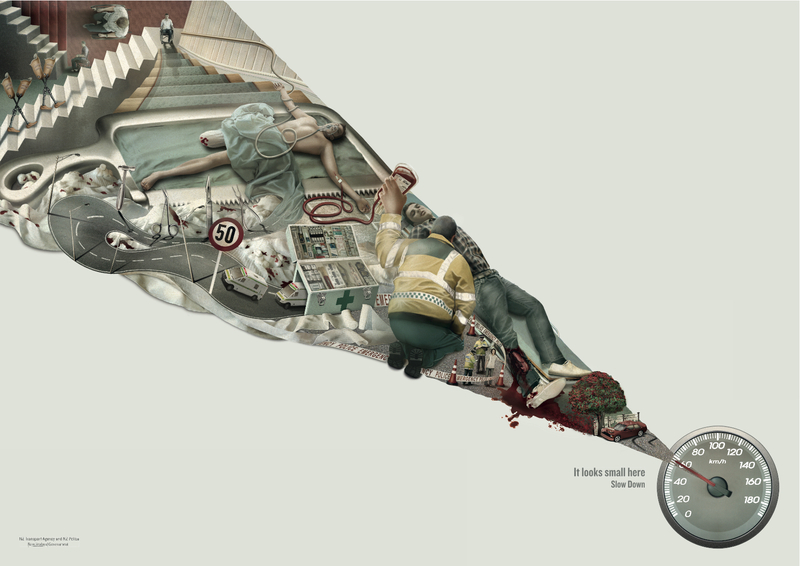 Clemenger BBDO Wellington's job was to re-educate drivers, that every km over the speed limit increases the seriousness of the consequences in a crash.